Google Maps received an update tonight which brought it to version 4.7.0. So what’s new? 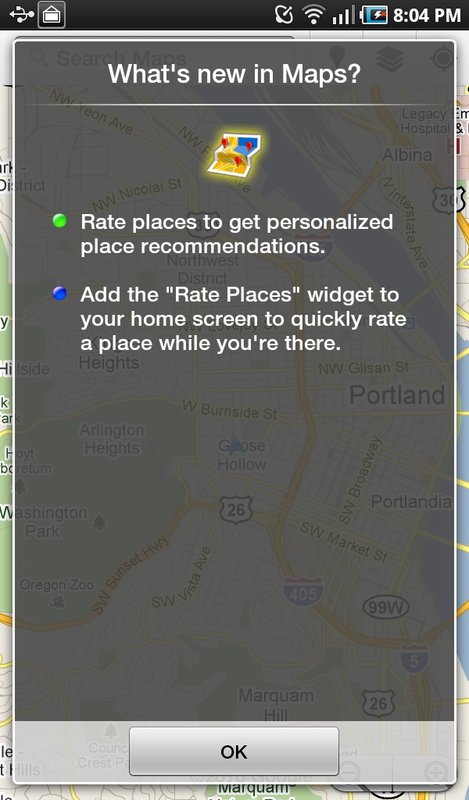 A new Places widget for your home screens and the ability to rate places using a new Google service called Hotpot. Apparently Google is going to take over the social check-in game as well and using their massive Android audience to do so. In Hotpot you can add friends, rate just about anything on the planet, and do it all so quickly and easily now from your mobile phone. If we find more goodies, we’ll be sure to let you know! More info.